So that’s the definition but what does it really mean? Well basically, in a nutshell, it means that if you are not utilizing SEO strategies your website will be at the bottom of the list when people search for your product or service on the internet.. Unless you sell something very specific in a very small market people won’t find you. Let me give you an example. Open another browser window and search in Google for “Mechanics in Louisville”. Go ahead..I’ll wait. You may have also noticed that there are more than 10 pages for that search. Now ask yourself this: Do you want to be at the top of that list or somewhere lost at the bottom? If you aren’t working on SEO, your competition is and you will get left behind or buried. 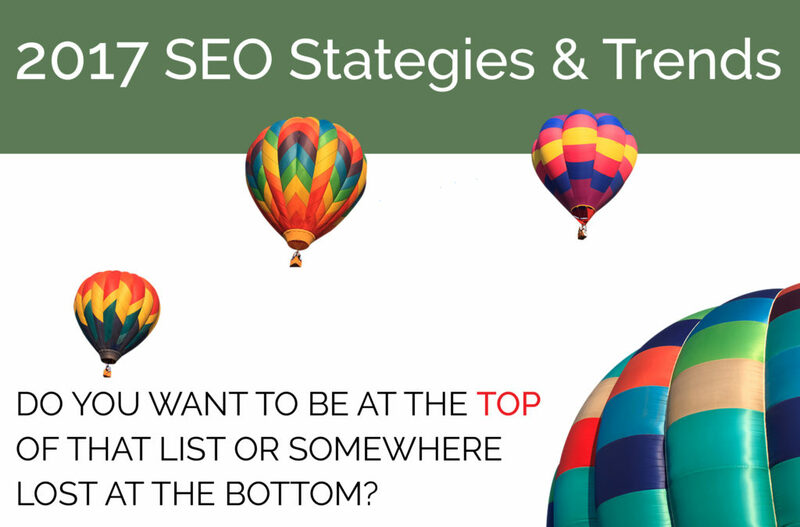 So now that we have explained WHAT SEO is let’s talk about what to do about it. I really cannot say it enough. The digital marketing world is forever changing and evolving at a lightning pace. 2017 brings us some interesting facts and new techniques. Although keywords are still important, typing in simple words yields simple results. Consumers today know exactly what they’re looking for, and search engines are getting much better at identifying user intent. 1 – Investigate. What are users searching for that brings them to your page? What questions do they want your content to answer? 2 – Optimize. Once you have gathered your research data and found areas that need improvement, make the changes needed to boost ratings. Based on your research, tell the consumer’s story by altering content to reflect the reader’s experience. 3 – Adjust. Keep up with analytics to see what’s working and what isn’t so you can update accordingly. We all turn to Google for answers. In response to our queries, Google will often display the required information directly in search results, along with other helpful websites, videos, movie or event information, reviews or specific dates. 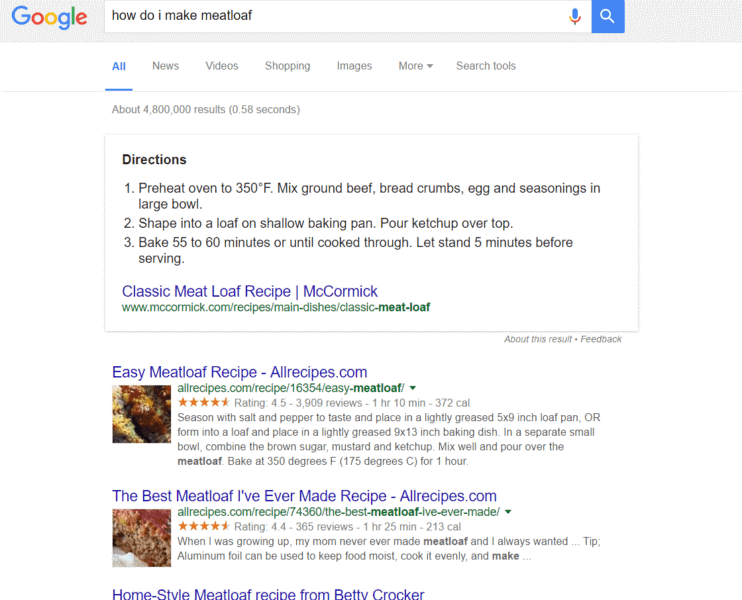 Structured data markup (often referred to as “schema markup”) can help website owners achieve these enhanced listings on search engine results pages (SERPs). This markup works to assist search engines in understanding website content, allowing them to display that information in a way that is helpful for users. According to studies, the volume of rich answers appearing in search results has nearly doubled from 2014 to 2016. If this trend continues, we’re likely to see an even greater number in the coming years. Users love quick access to useful information like this, so do yourself a favor and consider implementing schema markup for your website in 2017, if you haven’t already. In May 2015, Google reported that mobile searches had surpassed desktop searches on its search engine. Since then, the company has taken many steps which signal that mobile, not desktop, should be considered as the default user experience. In fact, Google recently announced that it has begun experiments to make its index mobile-first. Mobile accessibility has reshaped SEO over the past few years. Mobile search is growing at a rapid pace and isn’t showing any signs of slowing down in the future. 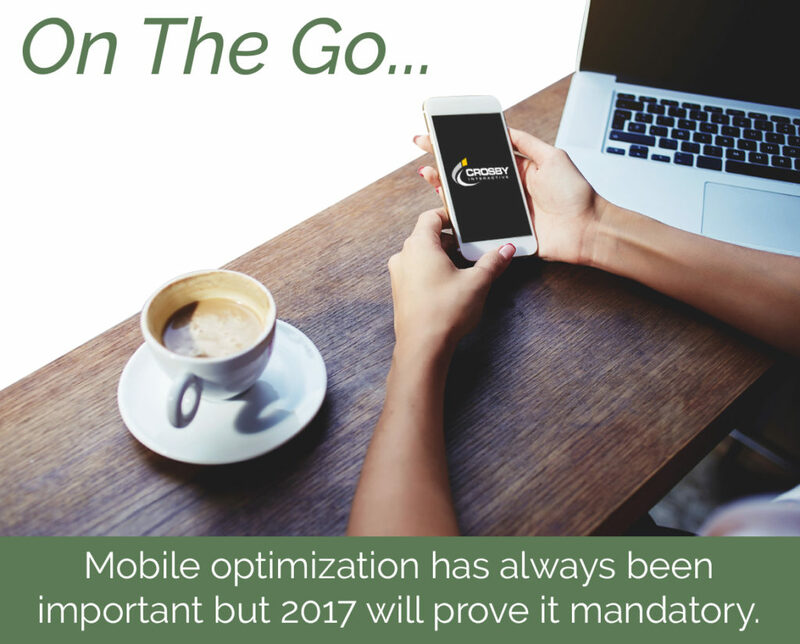 Mobile optimization has always been important but 2017 will prove it mandatory. Technology is undeniably growing for a few years now. It has been working out the kinks of voice search and quickly has become the preferred way of searching. Think about it, hands free, fast and simple. In America today, everyone wants instant gratification and simplicity. As the error rate of voice search plummets the speech recognition error rate has been reduced from around 25 percent two years ago to just 8 percent today. There are many more aspects to SEO and how to make it the most effective strategy for your business. No worries though, that’s what we are here for. Call Crosby Interactive today for your Free SEO consultation! Let us do the leg work and help you make your 2017 business resolution a reality.